Quality paints for your home. We strongly believe in using quality paints when painting walls and woodwork in your home. There are many ways to save money when decorating your home but most off the shelf paints do not have the same coverage, do not give the same depth of colour and are not as lightfast so don't last as long. 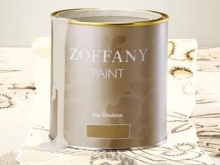 In the overall scheme of decorating your home spending an extra few euro on the paint can give you a quality finish that generic brands will not. We can order paint for you from many paint companies, three of our favorites are listed below. We can also provide a colour consultation for your home. This costs €150.00 and we will come to your home and pick the paint colours that will work for you, saving you lots of squares from tester pots on your wall! Interior paints are usually either acrylic or oil based. Oil based paints are the traditional type and are long lasting and durable, where as acrylic paints are water based, have a quicker drying time and are usually low odour and more eco friendly. 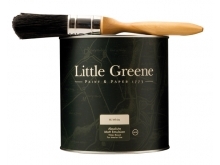 Our interior paints come in matt, egg shell or gloss finish. The finish is very much a personal preference and is also a balance between style and function as washability can be an important issue in homes with families or pets! To request a colour chart from any of these paint companies simply contact us and we will put one in the post to you free of charge.